I was inspired to write this article after providing references for several friends and former colleagues. I’m going to show you how to easily get the best references to help you land the next best job. CONTACT Contact your reference and express the importance and value their reference plays in helping you get a better job. ASK PERMISSION I know this goes without saying,but ask if they will help you even if you know they would be happy to do so. Sometimes, people might decline to offer a reference, so make sure they know it’s OK to say no with no hard feelings. WHY DOES THEIR REFERENCE MATTER? Don’t get just anybody to give you a reference. Get the person who is most successful in their field to share their experience about you. 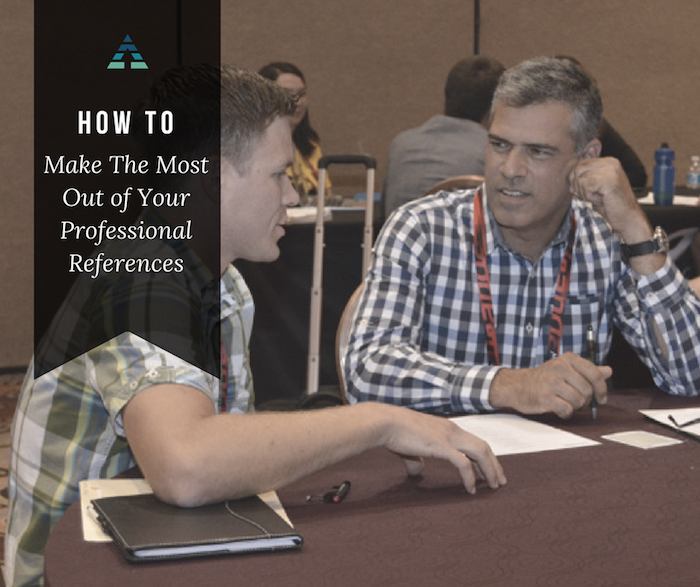 Additionally, tell your reference why they make would make the best reference for you and how their accomplishments play an influential part in your career. OFFER YOUR RESUME Offer your resume as a source of information. Take the time to explain your career with every job you’ve had.Your resume can help your reference define your career from their perspective.Additionally, your reference can be sure of any dates and gaps in your work history. WHAT SPECIALTY SHOULD THEY FOCUS ON YOU? How does their reference play a role in your potential job? Your reference isn’t likely to know everything about your career let alone know what you’d like for them to specifically discuss to help you get the job. Some references might focus on your work, while another might focus primarily on your personality,skills set, or accomplishments in your field. What is their specific knowledge on you? Coordinate your references so each can address your specific aspects.For example, “Mr. Banks would provide the best example of my journal is my experience and writing skills, while Mrs. Brown can tell you about my volunteer experience in child welfare." PREPARE FOR POSSIBLE QUESTIONS Do you have an idea of the types of questions they might ask your reference? Dates of employment? Reasons for leaving? Be sure your reference knows what questions they do not legally have to answer; refer to your local employment laws for more information regarding illegal questions. RESPECT YOUR REFERENCES Be sure to assure your reference that you will only use their time and recommendations sparingly and for those opportunities that seem solid. Let them know how they’ll be contacted and when,so that they’re ready and focused to give a stellar reference within a moment’s notice. PROTECT YOUR REFERENCES Do not give out your references contact information to everyone you meet. Be sure to give their information out to serious job prospects and not to every employment agency you work with because they might hustle your reference for business. Give your reference information to companies who will respect your reference’s time.